World Hospice and Palliative Care Day, marked on the second Saturday of each October, brings awareness to palliative care issues and aims to expand options worldwide. This type of care is focused on providing relief from the symptoms and stress of a serious illness. The goal is to improve quality of life for both the patient and the family. Sponsored by the Worldwide Hospice Palliative Care Alliance, it also raises funds to support care centers. A study covered in "The New England Journal of Medicine" found that patients with lung cancer who received early palliative care experienced​ fewer symptoms of depression. Declan Walsh, MD. established the first hospital-based palliative care center at the Cleveland Clinic. There are a host of resources available about palliative care and what is involved in providing the best support for those with life-limiting illnesses. Understand how palliative care is provided, how it helps patients improve their quality of life, and what friends and family can do to provide support to patients. Offer to support a friend or family member who may be undergoing palliative care. Learn more about their situation and what you can do to help. Carve out a few hours a week to run errands for them or handle other tasks that they may find difficult. The world needs more quality palliative care, and many care centers are nonprofits that could use your charitable donation or your time. Do some research on centers in your area and find out what you can do to support them. Amyotrophic Lateral Sclerosis, often referred to as Lou Gehrig's Disease. Alzheimer's Disease, which can erase memory and lead to depression and other mental illness. ​Pancreatic cancer can often be terminal and those diagnosed will often require palliative care. ​Multiple Sclerosis (MS) is a disease that attacks the central nervous system. More serious forms of the disease can be debilitating. More severe strokes can lead to partial paralysis and immobility. 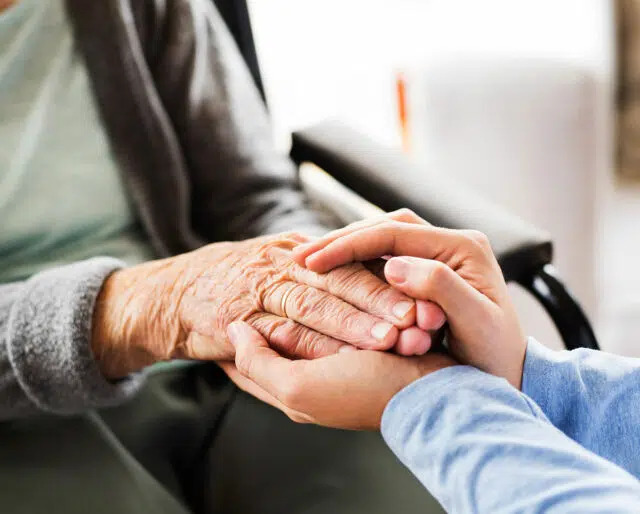 The process of palliative care allows patients with life-limiting illnesses and their families to make decisions about the best short-term and long-term care. Doctors and other health-care professionals walk patients through their best options. Studies show individuals who are diagnosed with terminal illnesses such as cancer increase their quality of life when palliative care begins. Palliative care involves not just medical professionals but also family members and caregivers. Family and friends need to learn about the best ways to interact with patients and provide comprehensive support that can improve their quality of life.